Click here for information regarding the 2018-2019 dance department uniforms! You are expected to attend every class in uniform and on time. No one will be admitted to class after the class begins. Late arrivals must ask permission to participate in class. If a student is not allowed to participate, s/he must observe class, write an observation of class and turn it in to the teacher. 2 points will be deducted from Effort, Participation, and Conduct grades for every 5 minutes a student arrives after the start of class. Active physical engagement is the work of this course and it is expected students will attend every class. Excessive absences will lower your grade. Do not enter or leave class without the instructor’s permission. If you are scheduled to have an early dismissal, tell the teacher before class begins. If you are unable to finish class due to illness or any other reason, inform the instructor to receive permission. When injury, extended illness or another crisis cause a student to miss class for an extended period, every reasonable effort will be made to assist the student in completion of the class. It is the student’s responsibility to approach the instructor as soon as possible to discuss his/her status or make up classes. Upon return to class a student must present a doctor’s note confirming that they were unable to participate in classes during that time. 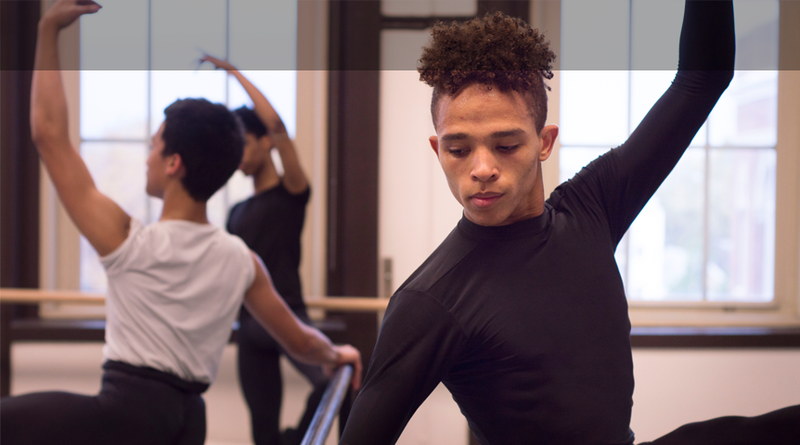 The curriculum of the Dance department at the Chicago High School of the Arts is comprehensive and progressive. Each member of our faculty comes to the department with a professional dance background. While outside achievements are important to every student’s life, it is equally important that a student in the Chiarts Dance department maintains a standard of excellence and allegiance within the department. Please submit the completed Extra-Curricular Policy form to the Head of the Dance Department for approval. A student’s enrollment in the Dance Department is for the duration of three hours from 2PM – 5PM, each day of the CPS academic school year. Early dismissal for any outside additional class or extracurricular activity will not be allowed. A student’s enrollment in a designated department is for the duration of four years. The scope and sequence of the Dance department follows a highly rigorous sequential curriculum that begins with instruction in the traditional foundations and progresses in a designed structure to encompass greater challenge and advanced instruction. Each student must follow this sequence and is not permitted to request changes in his/her class schedule. The program is designed to allow an understanding of other art forms and their relationship to dance. No exceptions will be made. Students are not allowed to hang on ballet barres. Street shoes are not allowed in the dance studio. No food or drinks are allowed in the dance studio except for water. No gum chewing in class. No guests are permitted in class unless as part of a ChiArts designated day or activity. All electronic devices must be stored in your lockers or plugged into the charging station. Cell phone use is not allowed in the dance studio. First Offense – Confiscated by dance faculty and returned at the end of the day. Second Offense – To be held until parent/guardian personally retrieves them. Stay in touch with our e-newsletter!